What is live captioning or CART? Communication Access Realtime Translation (CART) is the instantaneous translation of the spoken word into readable text. Often called live captioning, this text can be viewed on a smartphone, tablet, laptop, television monitor or projected to a large screen allowing everyone to read along and participate. CART is widely used in classrooms, counseling sessions, teleconferences, meetings, seminars, conferences, and trainings, and church services, just to name a few places. CART enables people who are hard of hearing and deaf equal access to fully and actively participate in discussions by reading the text displayed. CART can also be helpful for with improving comprehension for people with processing issues as well as those for whom English is a second language. How does live captioning work? Live captioning is a service provided by a trained stenographer who can translate the spoken word to text with a high rate of accuracy at over 225 words per minute. The captioner, typically working remotely, will listen in to the meeting or event using Skype or a similar online collaboration tool. Captions will stream back to the user on our caption streaming platform in real time with virtually no delay. Captions can be displayed on a screen or monitor in the venue or on a users laptop or mobile device, or both depending on your requirements. Do I need an onsite captioner? 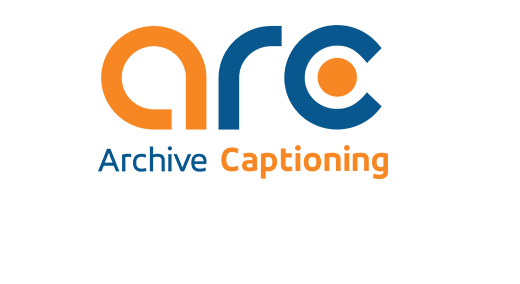 Prior to the availability of reliable high speed internet, most captioning was done onsite, where an experienced captioner travelled to a meeting or event to provide captions. The cost of travel, as well as the time and expense of having someone onsite for the entire event, whether they were captioning or not, made live captioning of most events prohibitively expensive. Most venues now have excellent high speed internet connection available, both wired and wireless, making onsite captioning less of a necessity for most events. Our experienced support teams will work closely with your onsite team to make sure that all of the necessary technical and logistical requirements for a successful live captioning experience are in place well in advance of your meeting. Live captioning of meetings and events benefits a wide range of people by making your content more accessible. Currently there are over 48 million Americans with some form of hearing loss. This number continues to increase due to age-related hearing issues. Most people with late onset hearing problems benefit greatly from having live captioning available to them. There are other groups that also benefit from live captioning. Meeting participants for whom English is not their first language find that live captioning helps significantly with comprehension of the material being presented. Live captioning of technical events such as developers conferences allows attendees to keep up with terminology and jargon that they may have missed. Studies have shown that captioning improves comprehension of complex material when compared to viewers watching the same media without captions. When considering whether to provide captions for your event, keep in mind how much you've already invested in putting the event together to get your information out to your attendees. For less than the cost of a nice dinner out, you can provide live captioning for your meeting or event and significantly improve the comprehension and retention of your message to your attendees. Do you provide transcripts? How about captioning files like SRT? Yes, a draft transcript of each session is included in our pricing. Many clients will use this transcript as the basis for captioning the video of their recorded event if they're going to upload it to YouTube or another video platform. For an additional fee, we can provide a formatted caption file in an SRT (YouTube) or other format. We can also sync the file to your edited video so that you can upload it directly to your video platform. For more information on these services and pricing, please contact our office. What types of work do you transcribe? What audio and video formats do you accept? ARC can work with almost any format of audio or video although we greatly prefer digital files. The quality of the audio is far superior to that of analog recordings which results in better quality transcripts. That being said, we’ll work with you to get your file transcribed. Talk to me about security. How can I be sure my files won’t be hacked? ARC's secured web site upload uses 256 bit encryption to secure your file before and during the transmission of your file to our servers. Our process is HIPAA certified for data security during transmission and at rest. Yes, ARC has a large pool of transcribers available to handle your project.